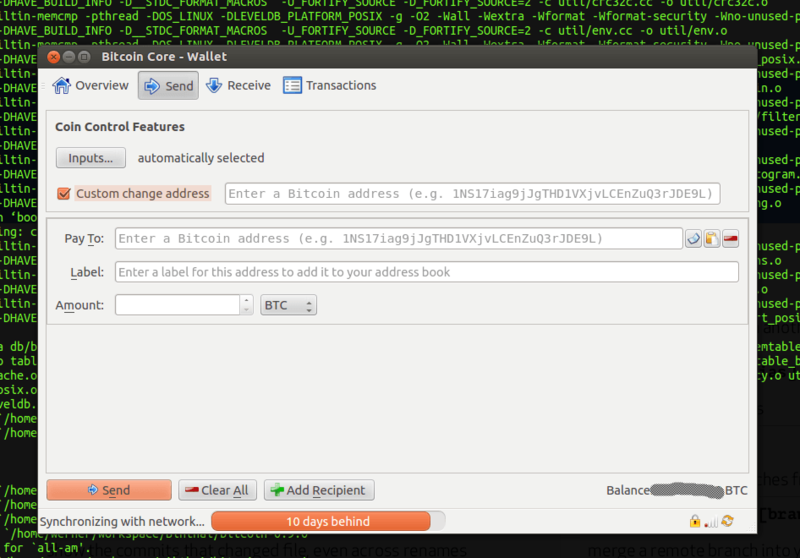 Can bitcoin-core wallet be configured to not use change addresses, but just one address? It's unclear what you want. Do you want no change addresses, but still have change that goes back to one of the addresses from which coins were taken? That does not have any size/fee benefit. This is possible by using the coin control feature (in the Bitcoin-Core GUI) or the createrawtransaction RPC interface. Do you want no change at all? That means the amount you are sending must exactly match the sum of the sizes of some of the unspent outputs you have in your wallet. It does result is slightly smaller transactions and thus lower fees, but it is highly constraining. You'll have to construct transactions manually if you need this. You can just send all the money leaving no change. This way there would be no money to send to a change address. Then if you need to take part of the money back, you can send the transaction with two outputs: 1. the address you are paying to; and 2. your original address. By the way there is by design no way to just leave coins on an address. A transaction could be either spent or unspent with no partial spend. But you can send (in a new transaction) coins back to previously used address. Nevertheless it's often bad idea. This way you can just specify the old address as a change address. Not the answer you're looking for? Browse other questions tagged bitcoin-core address change hd-wallet or ask your own question. How are change addresses treated differently by Bitcoin Core?